Anita Dongre never disappoints, and this bag is proof - it features dual loop textured handles, a shiny embossed logo, a back zip, and a cute tassle. Get it in Dark Grey or Light Brown. Dimensions 28 centimeters height x 32 centimeters length x 10 centimeters width. Here's one of the best handbags for women in India made of navy faux leather that features three compartments, internal organizers, and a back zip compartment, and an emblazoned metal plate on the front. Dimensions 32 centimeters height x 24 centimeters length x 16 centimeters width. 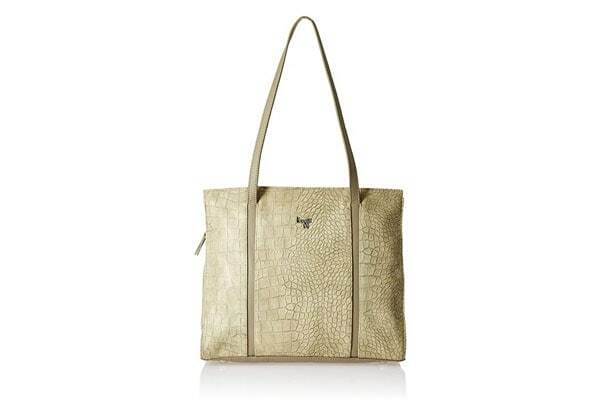 This creamy-beige hangbag is crafted out of synthetic material and will complement a wide range of outfits. Dimensions 29.21 centimeters height x 33.528 centimeters length x 8.89 centimeters width. One of the best handbags for women in India from Baggit. 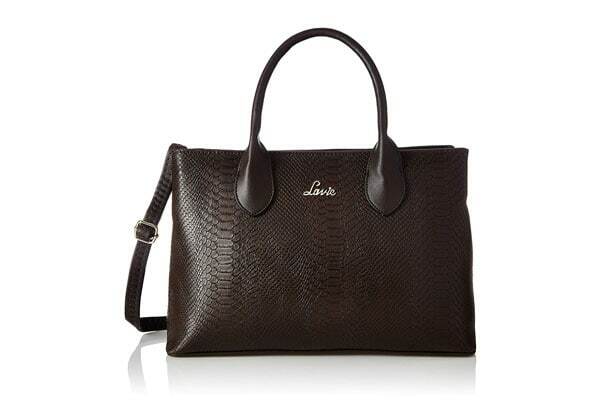 Get yourself a chocolate-hued bag with two compartments and five pockets for easy storage. Dimensions 11.5 centimeters height x 36 centimeters length x 26 centimeters width. One of the best handbags in India from Lavie. Fancy seagreen accessories? 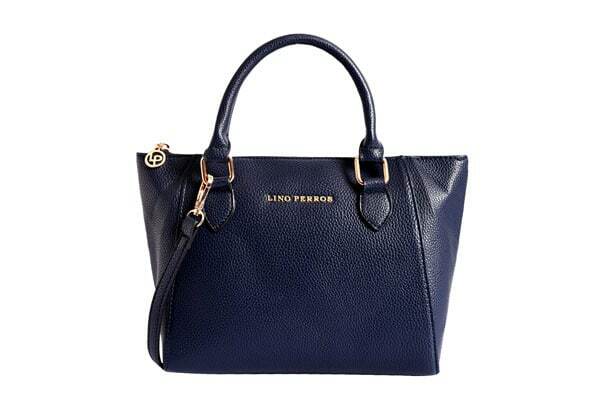 Get this faux leather handbag with round handles and an emblazoned metal plate. Dimensions 26 centimeters height x 37.5 centimeters length x 15.5 centimeters width. One of the best handbags in India from Caprese. 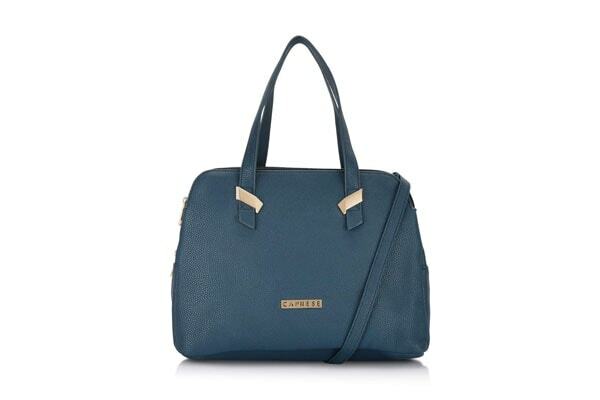 We like this navy faux leather piece for its versatility - its dark blue exterior will go with a wide variety of outfits. Dimensions 21 centimeters height x 25 centimeters length x 8 centimeters width. 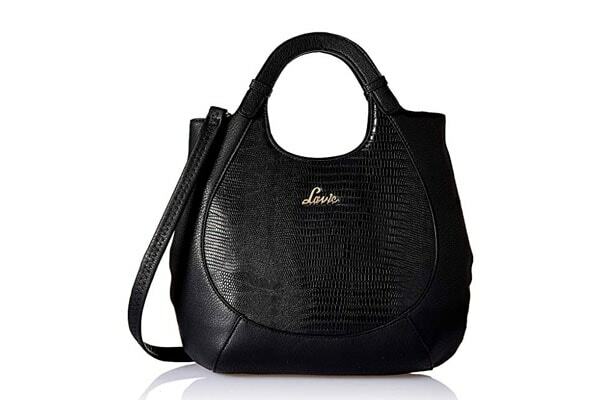 One of the best handbags for women in India from Lino Perros. 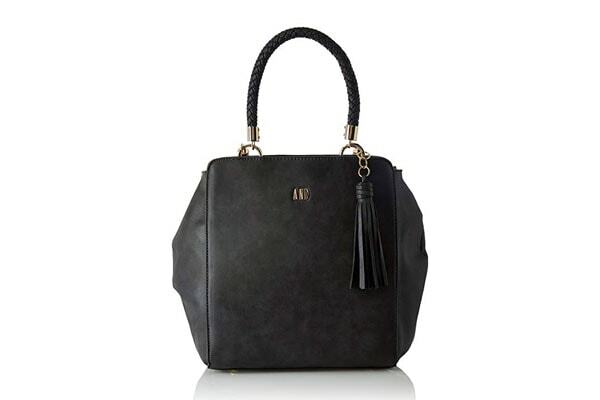 Black will never go out of fashion, and it's a great handbag colour in terms of versatility. 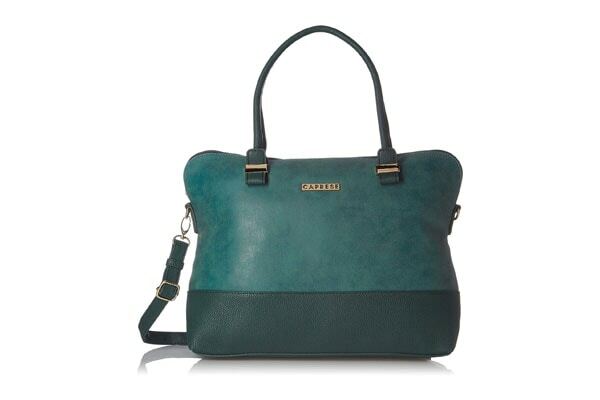 This piece features 2 compartments, 5 pockets a zip closure and snap fasteners on the sides. Dimensions 27 centimeters height x 29 centimeters length x 13 centimeters width. 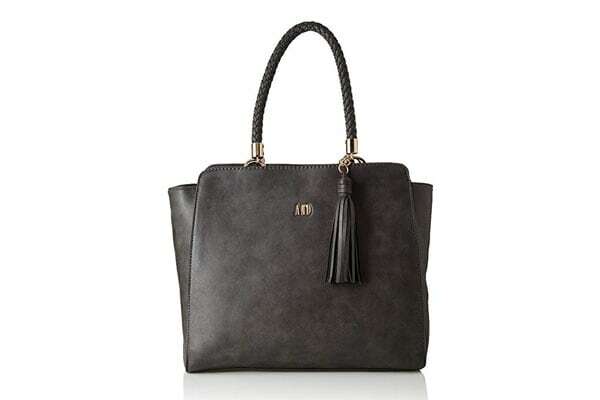 One of the best handbags for women in India from Lavie. Another great, every-occasion piece from Anita Dongre in black featuring dual loop handles, a shiny embossed logo, a back zip, and a tassle. Dimensions 29 centimeters height x 25 centimeters length x 9 centimeters width. One of the best handbags for women in India from AND. 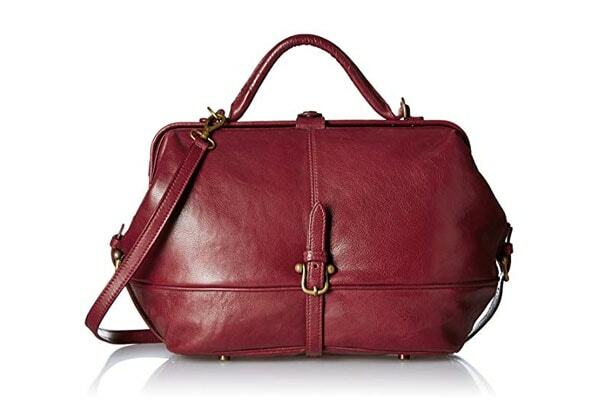 If you're looking for full-grain handcrafted leather bags, here's a gorgeous, red piece from Hidesign. Features a front pocket, metal zip, and spacious compartments. Dimensions 36 centimeters height x 28 centimeters length x 12 centimeters width. One of the best handbags for women in India from Hidesign. 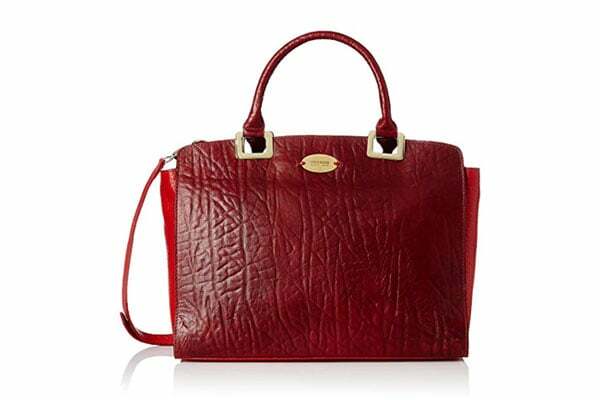 From India's premier design label Satya Paul, a regal maroon handbag to complement all your outfits. Dimensions 15 centimeters height x 32 centimeters length x 25 centimeters width. One of the best handbags for women in India from Satya Paul. 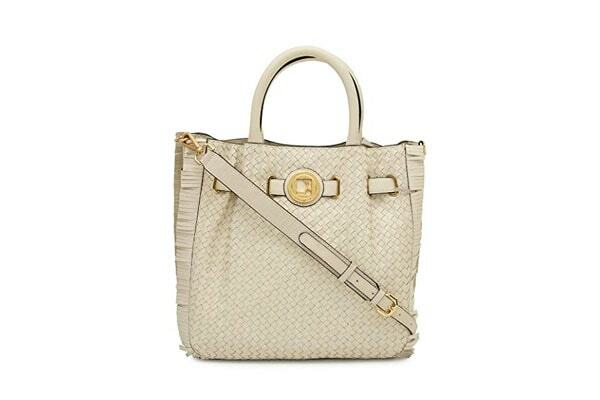 For fans of lighter palettes, here's a creamy-white textured bag from Da Milano. Perfect for your spring wardrobe. This piece comes with a push lock closure. Dimensions 26.7 x 8.1 x 26.7 cm. 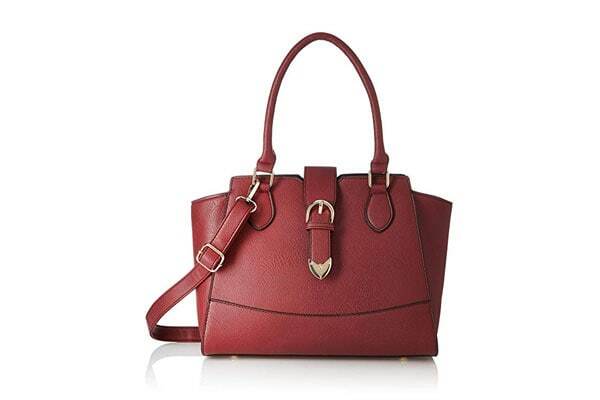 Another maroon beauty from leading handbag manufacturer Hidesign, crafted out of vegetable-tanned Ranchero and Maori leather. Dimensions 25 centimeters height x 46 centimeters length x 16 centimeters width.